Producer/DJ Super Future talks about DJing at Michigan State Bars to opening for Flux Pavilion, Freddy Todd and more. ick Rowland graduated with a degree in the sciences and engineering but his heart has been pulling him toward electronic music for the past three years. Rowland, aka Super Future, has been moving quickly through the ranks of the electronic scene, from DJing at local Michigan bars to supporting heavy-hitter acts like Flux Pavilion and Doctor P. Although Rowland is approaching a new level of notoriety, he isn't phased by the big names and flashing lights. I used to be way more nervous about even being in the same room as all-stars like them, but over time I've come to realize that they're always there to have fun with people who love what they do. As long as they aren't over-exhausted from touring or something, they're all pretty down with a quick chat and hug... As long as you're not that support act that plays their music (yikes) or goes too hard, it's most likely a chance to get on their radar and maybe meet again to build on that relationship...A consistent direct or local support on big shows like these have been earned by being that young and humble opener for a few years, so I advise people starting out to just be as respectful and conscious as possible at your first support gigs. After all, these are your shots to make a statement with the headliner's thousands of fans, so use that wisely and play every set like it's your last! My first encounter with Rowland was from afar, as he was on stage opening for Freddy Todd in Chicago. One could instantly notice his dual appeal; for the heads yearning to hear that guttural bass and for the general crowd that just wanted to get their dance on. The Super Future experience is founded upon this sort of eclecticism and also a rigorous live routine that is always being tinkered with. You can really tell when a producer who is DJing can or cannot read the room properly. THAT is what separates most people, even the top tier artists once in a while. I've seen huge artists tank in a club because they were just not understanding that people in that area were more about some house, or maybe trap in another. This is 100x more important for an up-and-comer if you want to win every single crowd over where you play. Thankfully I DJ'd in the best of the Michigan State University bars so I had to do this every time I was spinning for a few years. You just have to be aware enough to realize when your set isn't resonating... keep those classic rap anthem acapellas in your USB to put over some banger of yours just to reel people right back in! Even though Rowland has been practicing for a while and evolving his craft to include live instrumentation, he realizes that there is another side to the game. It would be difficult to deny that there is certain lack of authenticity in the EDM industry at large but Rowland argues that staying true to one's own style is the primary method for getting one's art out there. The truer you are to your brand as a person, a sound, a feeling, an idea, a look... the more unique and successful you can become. Unique is a keyword though. Every human is different, so if you are 100% an expression of yourself then you will succeed if you consistently try for long enough. Be ready to try for years and years, just don't waiver from original yourself. I think that's the only guaranteed route for success, the time it takes to achieve it is the only factor that is dependent on other outside factors. Apart from spearheading his Super Future project, Rowland also created a music collective in 2016 called Samsara Family. 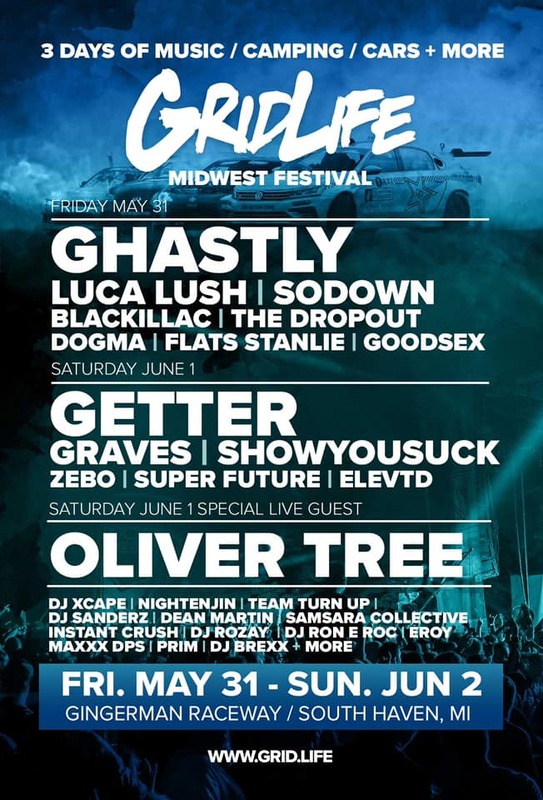 This Michigan-based collective recently collaborated with Spicy Bois and are also slotted for a takeover at Gridlife in early June. The Samsara Family is composed of several local artists committed to creation and this sentiment was so central to their ethos, they integrated it into their name. [Samsara] It's a beautiful, ancient word based in Hinduism and Buddhism that refers to the difficult period or journey of the soul, in which it learns over and over until it reaches the needed insight to progress to Nirvana. As a collective, we focus on the portion of continuous learnings because it signifies hard work and humility within the process of learning on one's way to greatness. We're all hungry to learn and grow into the best version of our artistic selves, so we live under the term that signifies that stage of our journey! Be sure to look out for upcoming releases from the Samsara Family and don't miss Super Future's Prisms: Part I coming this Spring!